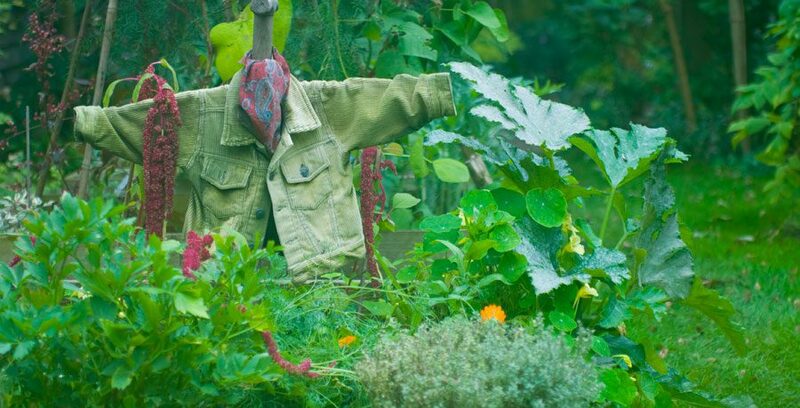 This is a picture of my veg garden yesterday. 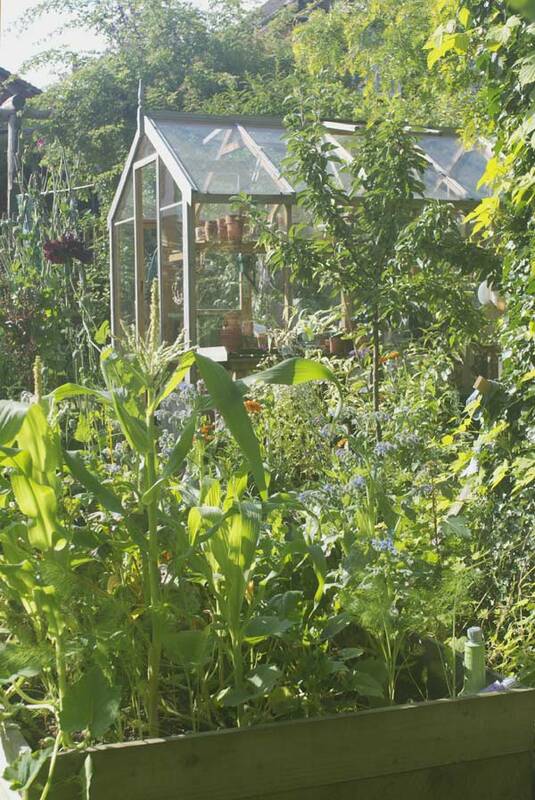 The raised beds are crammed with sweet corn, borage, chard, perpetual spinach, elephant garlic and sweet peas, with round courgettes, Florence fennel and broccoli for later. I picked several of the chard stems to sauté in garlic for my tea along with some new potatoes grown in a large pot round the back. 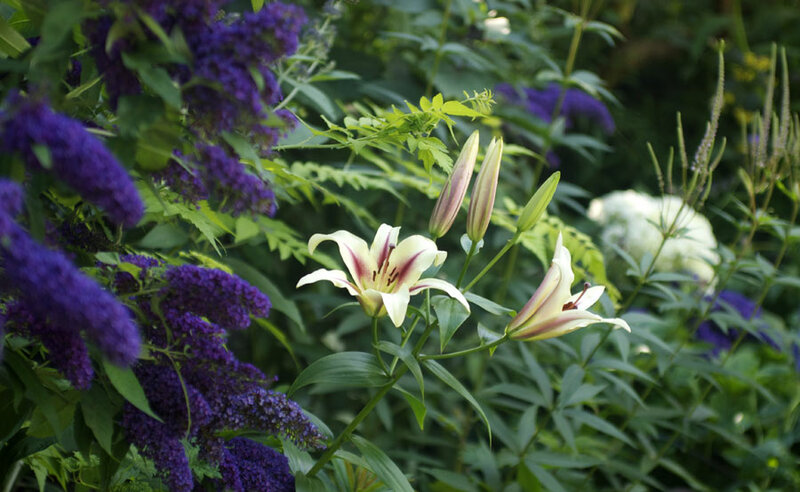 Meanwhile the shady border opposite looks even better with two lilies now in flower, and Buddleja Davidii ‘Dartmoor’ is at its very best.